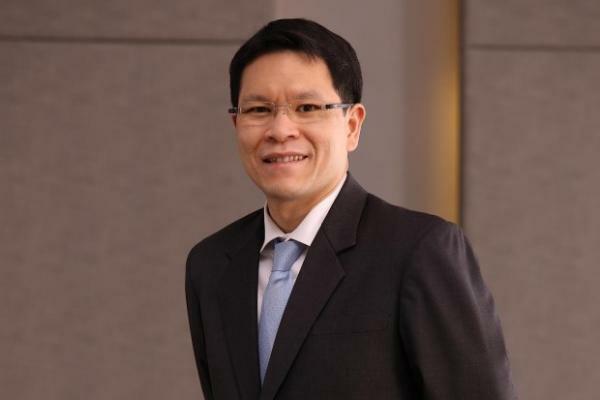 Governor of the Bank of Thailand Veerathai Santiprabhob stated that domestic demand would remain the key growth driver in 2019, as private consumption continues to be supported by government welfare measures and underpinning factors, such as employment and consumer confidence. moreover, private investment is expected to continue to improve, aided by more investments in the Eastern Economic Corridor (EEC) area, further progress in the public-private partnership infrastructure projects, and the relocation of production bases to Thailand in such industries as electronics, automotive parts, and rubber. Meanwhile, the tourism sector is expected to continue to expand mainly due to improved confidence and the return of Chinese tourists. It is expected that the number of foreign tourists will exceed 40 million this year. Last year, private consumption strengthened, supported by improvements in employment in major sectors, as well as government measures to support low income groups, such as the state welfare card project. In addition, private investment expanded with increased investments in machinery and equipment along with greater construction activities as the overall growth became more broad-based. Furthermore, private investment is expected to continue to improve, aided by more investments in the EEC area, further progress in the public-private partnership infrastructure projects, and relocation of production bases to Thailand in industries such as electronics, automotive parts, and rubber. Meanwhile, the tourism sector is expected to continue to expand mainly due to improved confidence and return of Chinese tourists. Thanks to more balanced growth engines, he said, the Thai economy grew by 4.1 percent in 2018, an improvement from 4.0 percent growth in 2017. It was also the first time in a decade that the Thai economy registered consecutive annual growth of 4 percent. Looking ahead, the Thai economy is projected to continue to expand around its potential, with growth this year will slightly moderate to 3.8 percent as slower growth of major trading partners weighs on the export sector. The potential impacts from US protectionist policies and trade tensions with China, which so far have had mixed effects on the Thai economy. The direct effect of US safeguard measures on certain products led to slowdown in exports of solar cells and washing machines, though they have had small impact on our overall exports. Meanwhile, US trade measures against China could have indirect impact on Thai exports as a number of Thai firms are part of Chinese production and supply chain networks; potential reduction in Chinese exports has reduced the demand for Thai supply. Furthermore, the measures can lead to trade diversion, the consequence of which remains to be determined. On one hand, the Thai economy may benefit from new investments from relocation of Chinese factories. Thai firms may be able to supplant Chinese competitors in exporting to the US. On the other hand, trade diversion can lead to increased competition within Thailand as excess supplies of goods from China are diverted to the Thai market and priced at discount to compete with local products. While the slowdown may be in line with the Chinese authorities’ goal of restructuring the economy towards a long-run sustained growth model, in the short-term it can have significant impact on the Thai economy. This is because of high degree of linkages in terms of supply chain and production networks, tourism, and property investment. For instance, China is Thailand’s second largest export partner following the ASEAN region, making up about 12 percent of our exports in term of value while the Chinese tourists represent nearly 30 percent of total foreign tourists. Besides, slowdown in the Chinese economy may contribute to higher volatility of the Chinese Yuan; the movements of which can influence movements of the Baht and other currencies in the region. Against this backdrop, short-term slowdown in the Chinese economy needs to be closely monitored. These include long-standing issues such as the US-North Korea relations, Middle East conflicts, and development on Brexit. In addition, new sources of fragilities continue to emerge, such as the recent disputes between India and Pakistan and Venezuelan political tensions. While some of these conflicts may not be directly related to the Thai economy, the presence of geopolitical risks could introduce bouts of uncertainties and impair sentiments, leading to capital flow volatility in Thailand and other emerging market economies. Lastly, on the domestic political front, given the unofficial result of our general election over the weekend, uncertainties remain on how a new coalition government is to be formed. The result of which will play a big part in determining major government policies going forward.